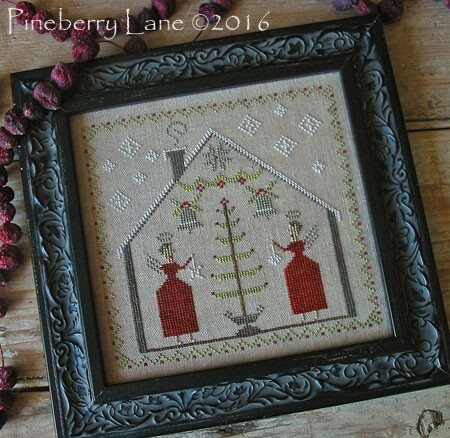 Cozy in their snow covered house, a pair of sweet angels dressed in Christmas red decorate their tree. 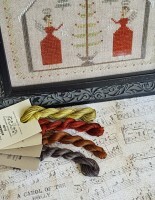 Stitched on 35 count Weeks Dye Works Confederate Gray linen with a combination of DMC and The Gentle Art threads. Pattern includes color photo, professional cross stitch chart with floss colors (includes DMC alternatives) and optional aging instructions. O Tannenbaum uses a combination of DMC and The Gentle Arts Threads. This partial&nbs..